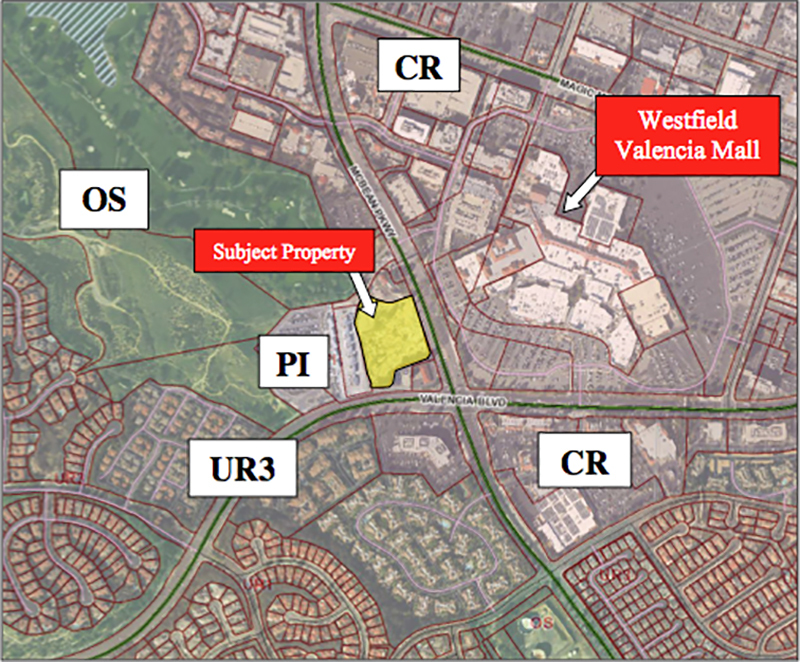 SCVHistory.com SC1601 | Valencia | New Hotel, Restaurant Proposed for 'Greens' Property, 2016. The site of the former Greens pub and putting course on McBean Parkway could be redeveloped into a 5-story hotel and 4,000-square-foot restaurant if the Santa Clarita Planning Commission shouts "FORE!" on Tuesday to a proposal that's working its way through the city approval process. The Oliver Hotel Proposal, submitted by Asset Builders Valencia LLC, looks to construct a "101,950 square-foot, 134 room, five-story, hotel that is proposed to be 60 feet in height," according to a city staff report. "The proposal also includes a 4,000 square-foot, free-standing restaurant." It's a redo of a plan that was in the works in 2008 when Sheraton Hotels & Resorts proposed a 7-story, 200-room hotel for the property. The Planning Commission signed off in 2009, but the project was appealed to the City Council with the request to conduct additional public outreach. Sheraton Hotels & Resorts "was unresponsive to City Council's direction and did not return to a future meeting," according to the staff report. Turn up the clock nearly a decade, and Asset Builders Valencia LLC submitted a new application in March, purchased the property and withdrew the Sheraton project. "The hotel would provide extended-stay services to guests," according to the report. "The proposed restaurant would operate independently of the proposed hotel, would be open to the public and would not be affiliated with the hotel ownership." The proposed hotel would includes 220 parking spaces — 39 more than are required under city code.